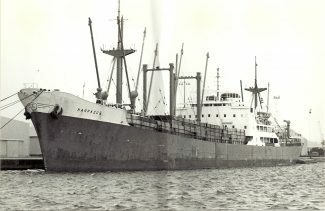 The British vessel HARPAGUS in Tilbury Docks about 1970. She was built in 1958 and became the IRINIKOS in 1973 and the VICTORY FIVE in 1980. Finally scrapped in 1982.
was working on the Harpagus from Jan to Oct 1965 as a catering boy. 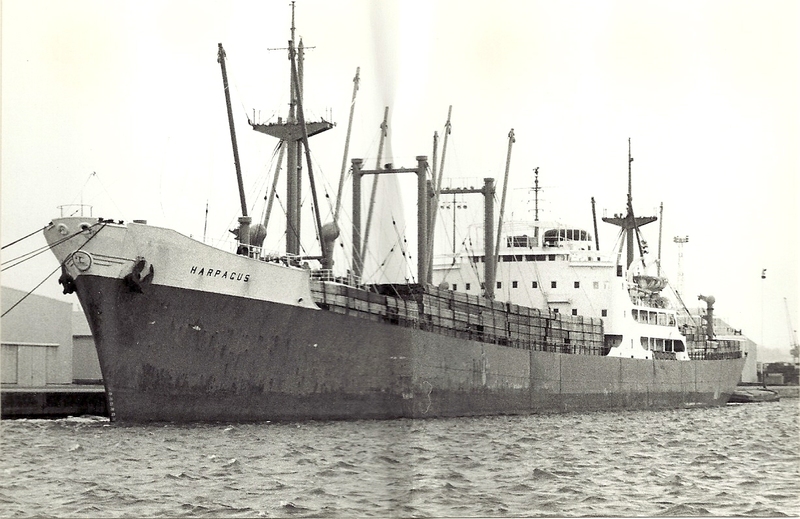 Was on her sister ship Harpalycus in 1970/71After leaving Gravesend sea school.